These paid Android games are free for a limited time, grab them while you can! Also, make sure to check out the end of sale times for each game below the respective download link. At the time of writing (July 19th), some of these titles only have about several hours left in their "freebie" period, so it's advisable to download anything that you like fast. Without further ado, let's see what's on the list! klocki is a straightforward puzzle game, where the player is tasked with connecting all the lines on various geometric shapes. The graphics are clean, minimalistic, and visually pleasing, while the calming music adds to the overall "feel good" atmosphere of the title. Hexasmash 2 is the work of the developer behind the famous Laserbreak 1 and 2 titles. If you've played one of these, you'll find out that the concept of Hexasmash 2 is pretty similar. It's a physics puzzler game where you have to shoot balls in order to destroy all the blue hexagons. Do this, and you pass to the next level. Naturally, there are tons of levels and physical objects to interact with, making this a great time killer that will also challenge your logical skills. Drawtopia is another member of the physics puzzler genre, but with a twist. The task is to guide the ball to the end point of a stage by drawing shapes, lines, and dots. There are 60 unique levels that will present you with various challenges. The graphics are clean and simple, looking almost like engineering schematics. If Super Mario and stickman gore are two things that take you back to the good ole days, you simply must give Collect or Die a shot. 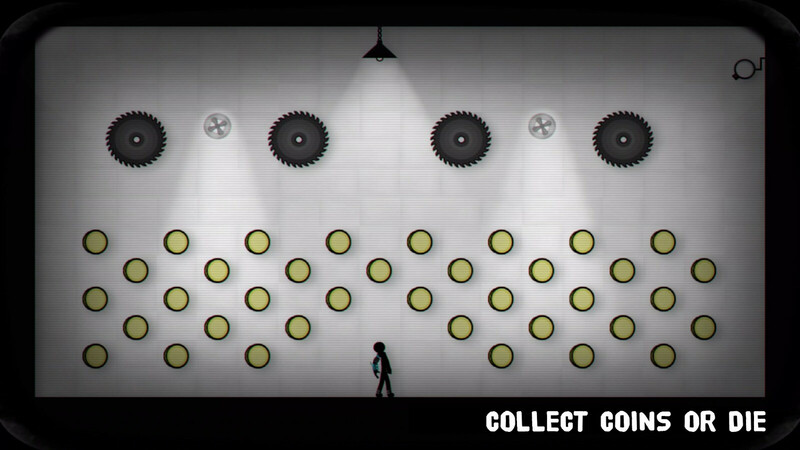 The protagonist is a ragdoll stickman whose task is to escape the test lab by collecting all the coins in a given stage. Do this, and you'll reach the next level. Fail, and a bloody death awaits you. The game plays out like a platformer, where the player needs to avoid the various obstacles. It's very entertaining, but obviously not suitable for children.